Have you ever wished you could’ve attended an event but missed out due to circumstance? Today, I would have loved to have been at Villa Park to watch Leeds beat Aston Villa in the final minute of added time to go top of the league in time for Christmas. 2-0 down we were. 2-0 down and we managed to bag three under the mighty leadership of Marcelo Bielsa. Unfortunately for me but fortunately for you, I’ve been cooped up in the office all day writing spellbinding copy on everything from a five-week trip around Australia to Avengers: Endgame. And you know what? I’ve loved every second of it, sat here with my gorgeous and talented colleagues George, Emily and Lucy. A great bunch of people. Anyway, it turns out I could’ve attended the game after all, thanks to something called ‘human Uber’. Sounds a bit bleak, doesn’t it? Rest assured it is not, albeit a little odd. 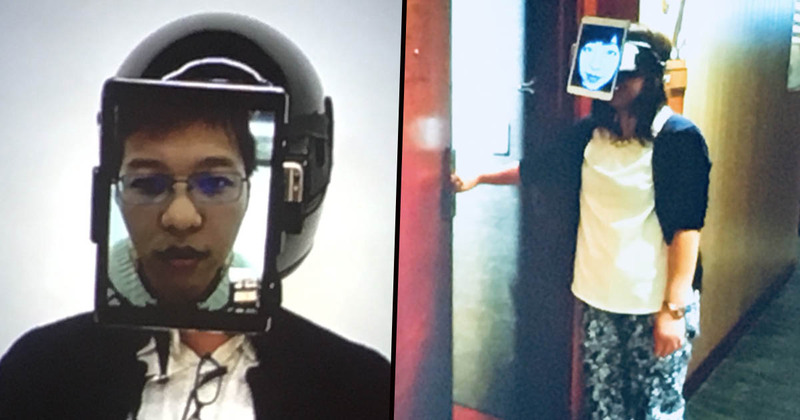 Japanese researcher Jun Rekimoto has introduced Chameleon Mask to the word, which basically serves as a full-throttle FaceTime experience, should someone be willing to have an iPad strapped to their head. So basically, whenever you want to do something that you can’t be arsed doing whether it be doing the dishes, attending church, all that stuff… if you don’t wanna do it, just hire someone via Chameleon Mask and job’s a good ‘un. It’s worth noting that you can’t use this app for any kind of medical visit. Sorry! Find out about all of it right here!